I have used a sketch from Pinterest for this one, and a very old 6x6 paper pad. 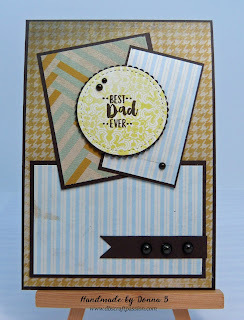 I stamped the sentiment onto the patterned paper as it was so light. I used some brown pearls for some added dimension. I love these colours together.